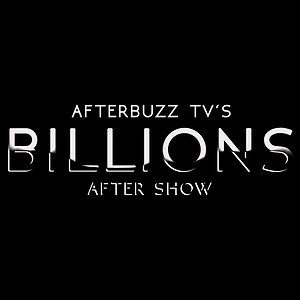 AFTERBUZZ TV — Barry edition, is a weekly “after show” for fans of HBO’s Barry. In this episode hosts Steph Sabraw, Miss Conversation Piece, Erika Edwards, and Taquaila Jackson discuss episode 8. ABOUT BARRY: A disillusioned former Marine-turned-assassin reluctantly accepts a job in Los Angeles, where he inadvertently discovers an interest in the performing arts. Follow […] The post Barry S:1 | Chapter Eight: Know Your Truth E:8 | AfterBuzz TV AfterShow appeared first on AfterBuzz TV Network. AFTERBUZZ TV — Barry edition, is a weekly “after show” for fans of HBO’s Barry. In this episode hosts Steph Sabraw, Miss Conversation Piece, and Erika Edwards discuss episode 7. ABOUT BARRY: A disillusioned former Marine-turned-assassin reluctantly accepts a job in Los Angeles, where he inadvertently discovers an interest in the performing arts. Follow us on […] The post Barry S:1 | Chapter 7: Loud, Fast and Keep Going E:7 | AfterBuzz TV AfterShow appeared first on AfterBuzz TV Network. AFTERBUZZ TV — Barry edition, is a weekly “after show” for fans of HBO’s Barry. In this episode hosts Steph Sabraw, Miss Conversation Piece, Erika Edwards, Taquaila Jackson, and special guest Paula Newsome break down episode 6. ABOUT BARRY: A disillusioned former Marine-turned-assassin reluctantly accepts a job in Los Angeles, where he inadvertently discovers an interest […] The post Barry S:1 | Paula Newsome Guests on Chapter Six: Listen With Your Ears, React With Your Face E:6 | AfterBuzz TV AfterShow appeared first on AfterBuzz TV Network. 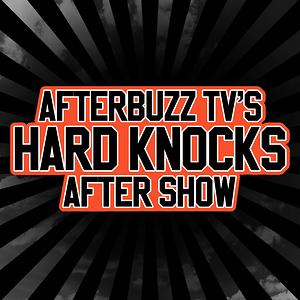 AFTERBUZZ TV — Barry edition, is a weekly “after show” for fans of HBO’s Barry. In this episode hosts Steph Sabraw, Conversation Piece, and Erika Edwards break down episode 5. ABOUT BARRY: A disillusioned former Marine-turned-assassin reluctantly accepts a job in Los Angeles, where he inadvertently discovers an interest in the performing arts. Follow us […] The post Barry S:1 | Chapter Five: Do Your Job E:5 | AfterBuzz TV AfterShow appeared first on AfterBuzz TV Network. AFTERBUZZ TV — Barry edition, is a weekly “after show” for fans of HBO’s Barry. In this episode hosts Steph Sabraw, Miss Conversation Piece, and Taquaila Jackson break down episode 4. ABOUT BARRY: A disillusioned former Marine-turned-assassin reluctantly accepts a job in Los Angeles, where he inadvertently discovers an interest in the performing arts. Follow […] The post Barry S:1 | Chapter Four: Commit … to YOU E:4 | AfterBuzz TV AfterShow appeared first on AfterBuzz TV Network. AFTERBUZZ TV — Barry edition, is a weekly “after show” for fans of HBO’s Barry. In this episode hosts Steph Sabraw, Jeff Graham, and Erika Edwards break down episode 3. ABOUT BARRY: A disillusioned former Marine-turned-assassin reluctantly accepts a job in Los Angeles, where he inadvertently discovers an interest in the performing arts. Follow us […] The post Barry S:1 | Chapter Three: Make the Unsafe Choice E:3 | AfterBuzz TV AfterShow appeared first on AfterBuzz TV Network. 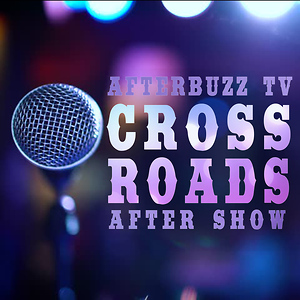 AFTERBUZZ TV — Barry edition, is a weekly “after show” for fans of HBO’s Barry. In this episode hosts Taquaila Jackson, Steph Sabraw, Conversation Piece, and Erika Edwards break down episode 2. ABOUT BARRY: A disillusioned former Marine-turned-assassin reluctantly accepts a job in Los Angeles, where he inadvertently discovers an interest in the performing arts. […] The post Barry S:1 | Chapter Two: Use It E:2 | AfterBuzz TV AfterShow appeared first on AfterBuzz TV Network. AFTERBUZZ TV — Barry edition, is a weekly “after show” for fans of HBO’s Barry. In this episode hosts Steph Sabraw, Miss Conversation Piece, and Erika Edwards break down episode 1. ABOUT BARRY: A disillusioned former Marine-turned-assassin reluctantly accepts a job in Los Angeles, where he inadvertently discovers an interest in the performing arts. Follow […] The post Barry S:1 | Chapter One: Make Your Mark E:1 | AfterBuzz TV AfterShow appeared first on AfterBuzz TV Network.